Actors Ranveer Singh and Vaani Kapoor promoted their upcoming movie ‘Befikre’ on the sets of The Kapil Sharma Show in Mumbai on November 23, 2016. 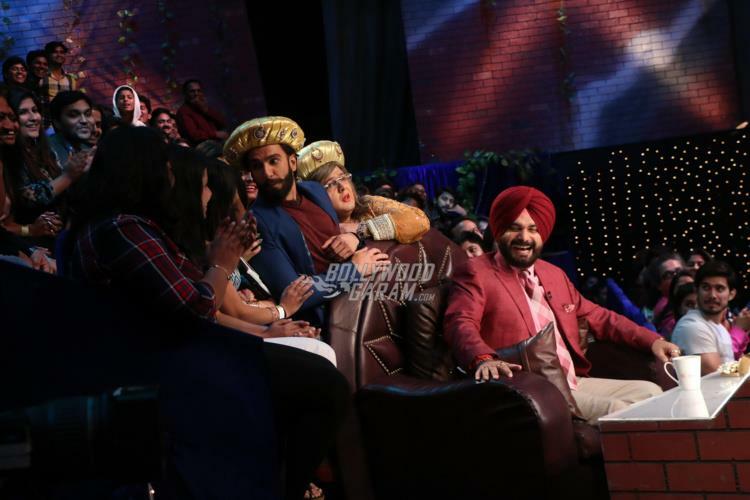 Ranveer on the show was at his funniest best and made sure that he had a great time with the audience and the host Kapil Sharma. Vaani looked pretty in a blue outfit and enjoyed every moment on the sets. Ranveer while talking about his movie ‘Befikre’ confessed that he was exploited a lot and was tired of kissing. The actor added that he is happy that his movie got a U/A certificate so that everyone can watch the movie. Ranveer also assured that it is a family entertainer and is all set to hit the theatres on December 9, 2016.